Ben Barnes, left, and Mark Ojakian, answering questions three years ago. Ben Barnes, who has overseen Connecticut’s budget as the secretary of the Office of Policy and Management from the first days of Gov. 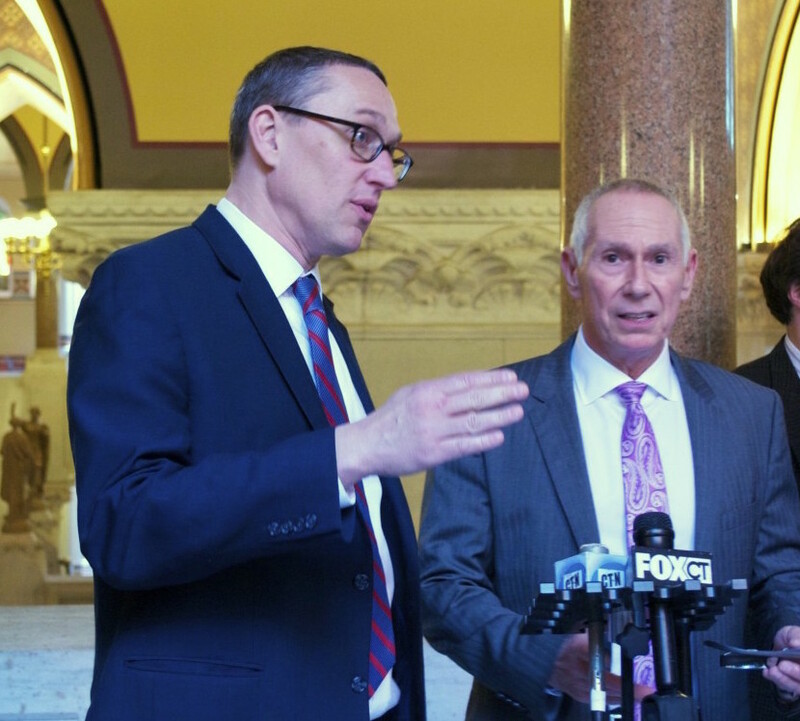 Dannel P. Malloy’s administration, is on a short list of candidates interviewed for the vacant post of chief financial officer at the state’s system of community colleges and regional universities. Sources familiar with the search process say Barnes, a political appointee who could expect to depart the Capitol with the governor’s other top aides in January, is one of the candidates under consideration to succeed Erika Steiner, who is retiring as the top fiscal officer for the Board of Regents for Higher Education. Barnes, 50, who has spent most of his professional life in public finance and government, is well-regarded for his command of budget issues, even while becoming the fiscal voice of a controversial administration that has sparred with lawmakers over how to stabilize Connecticut’s economy and finances. The power to hire the new finance officer rests with Mark Ojakian, who was the governor’s chief of staff before becoming president of the 90,000-student Connecticut State Colleges and University system, which includes all of public higher education except the University of Connecticut. Candidates are being screened by a search committee. Maribel La Luz, a spokeswoman for the system, said the search process has been competitive, open and led by campus representatives and others with higher education financial experience. “The committee has identified several impressive and diverse candidates who will eventually be interviewed by a number of CSCU stakeholders,” she said. If hired, Barnes could leave the administration for the new post as soon as Nov. 1, joining the governor’s legal counsel, Karen Buffkin, and tax commissioner, Kevin B. Sullivan, among the top officials to find new jobs in recent months. Malloy announced in April 2017 he would not be seeking a third term as governor. Steiner currently earns just over $204,000 per year while Barnes’ annual salary as OPM secretary is $209,439, according to the state’s Open Payroll website. Ten years of state service is needed to qualify for a full retirement package that includes both a pension and healthcare benefits. Barnes has accrued seven years and eight months of service toward a full state pension and retirement healthcare. Ojakian declined to comment on the search, how many people are being interviewed, or about his former colleague’s prospects. 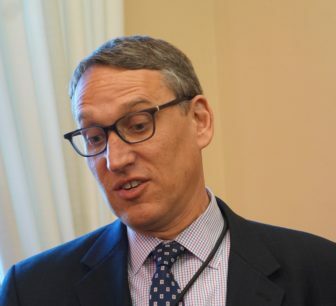 Buffkin, the governor’s general counsel since 2014, left in late July to become executive director of employee relations at the University of Connecticut. Sullivan stepped down in early May as commissioner of the Department of Revenue Services to take a post with Verus Analytics, a private firm that helps tax agencies maximize collections. Malloy inherited one of the largest projected deficits in modern Connecticut history. Outgoing Republican Gov. M. Jodi Rell and the 2010 legislature used expiring federal stimulus aid, the state’s entire $1.4 billion emergency reserve, numerous smaller account raids, and $1 billion in borrowing to prop up billions of dollars in ongoing programs and services. State finances, unless adjusted, were on pace to run almost $3.7 billion in the red during Malloy’s first year in office, a shortfall greater than 18 percent of the General Fund. Barnes played a key role in implementing cost-savings tied to major union concessions deals in 2011 and 2017. The latter agreement contains several provisions that will remain in effect for two more fiscal years after the November election, and unionized employees within the regents’ system are among those participating in the concessions plan. Barnes spent most of the two decades prior to OPM connected to municipal government, first as a fiscal policy expert for the Connecticut Conference of Municipalities and then as a planner for the cities of Hartford and St. Petersburg, Fla., where he was raised. Barnes held three administrative posts in Stamford between 2000 and 2009 during Malloy’s tenure as mayor of that city, including serving as director of operations. Barnes’ last post in municipal government was in 2010, when he served as operating Officer for the Bridgeport Public Schools, overseeing the school system’s facilities, transportation, technology and a $215 million budget.